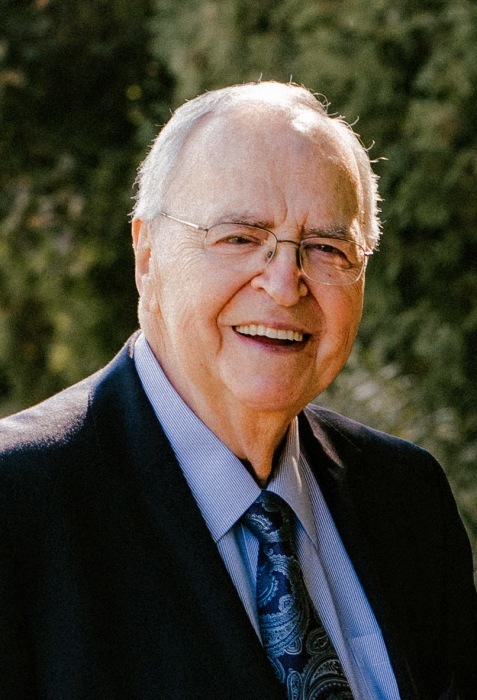 Mr. Ronald H. Carignan, age 80, a lifetime resident of the Pawtucketville section of Lowell, passed away on Wednesday, January 9, 2019, surrounded by his loving family. He was the beloved husband of Pauline D. (Richard) Carignan with whom he shared 58 years of marriage. Born in Lowell on April 24, 1938 he was a son of the late Arthur and Gertrude (Rousseau) Carignan. He was educated in the Lowell school system and was a longtime parishioner of the former Ste. Jeanne d’Arc Church. He was employed by Demoulas Market Basket for over 58 years, having served as Director of Seafood, Deli and Market’s Kitchen, recently elevated to Vice President. Ronald enjoyed traveling and entertaining, but most of all he cherished the time spent with his family. Surviving him in addition to his wife Pauline are his children, Donald A. Carignan and his wife Karen of Tyngsborough, Diane P. (Carignan) Lefebvre of Dracut and Kenneth R. Carignan and his wife Christine of Lowell; eight grandchildren, Christopher A. Carignan and his wife Callie of Crestview, FL, Jennifer R. Carignan of Salem, NH, Kasey (Lefebvre) Rackliff and her husband Larry of Salem, NH, Daniel R. Lefebvre of Philadelphia, PA, Timothy R. Lefebvre of Durham, NH, Conor R. Carignan of Lowell, Ian N. Carignan of Lowell and Emma C. Carignan of Lowell; his brothers and sisters, the late Estelle Carignan of Lowell, the late Arthur Carignan and his late wife Marion of Salem NH, the late Arlene Jussaume and her late husband Paul of Lowell, Jacqueline Gallant and her late husband Roland of Methuen, Gloria Desrochers and her late husband Raynal of Cherry Hill, NJ, Gerald Carignan and his wife Constance of Zephyrhills FL, Esther Turcotte and her husband Maurice of Hendersonville, NC and Judith St. Germain of Jaffrey, NH; his sisters in law and brother in law, Irene C. (Richard) Moisan and her late husband W. Donald of Lowell and Albert R. Richards and his wife Eva of Coupville, WA; also several nieces, nephews and dear friends. CARIGNAN – died in Lowell on Jan. 9, 2019. Mr. Ronald H. Carignan, age 80, a resident of Lowell and loving husband of Pauline D. (Richard) Carignan. Relatives and friends will be received at the TYNGSBOROUGH FUNERAL HOME 4 Cassaway Dr., Tyngsborough on Sunday from 2 to 7 p.m. His Funeral Mass will be celebrated on Monday morning at 10 a.m. in St. Francis Parish, 115 Wheeler Rd., Dracut. Committal services will follow in St. Joseph Cemetery, Chelmsford. Those planning to attend the funeral are asked to meet directly at Church. In lieu of flowers, those wishing may make a donation in his memory to the American Heart Assoc., 300 5th Ave., Suite 6, Waltham, MA 02451, National Kidney Foundation, 30 East 33rd St., New York, NY 10016 or American Lung Assoc., 1661 Worcester Rd., Suite 301, Framingham, MA 01701. For online condolences or directions, please visit www.tyngsboroughfuneralhome.net. Funeral Directors Roland W. Martin and Daniel R. Martin. The family has asked that anyone who wishes to send flowers please order all white colored flowers. Thank you!